Courtesy of E. A. Williams Property Mgmt.. Wonderfully unique Fan Rowhouse with a NEW Roof and bricked patio walkway to the back fenced in courtyard! Beautiful open floor plan with a sunken kitchen with new quartz counter tops that also serves as a bartop. 2 Bedrooms with their own private bathrooms are upstairs and an office/study room is located on the 1st level. This home is located in the Fan, just 2 blocks from VCU and walking distance to many restaurants and local businesses. 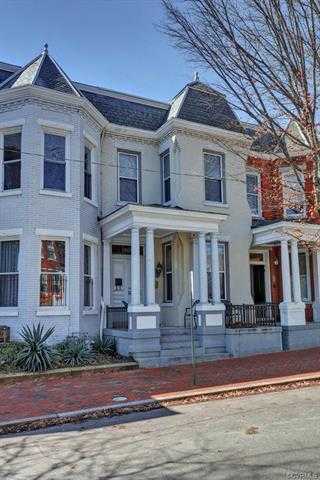 Please, send me more information on this property: MLS# 1909685 – $525,000 – 1325 Floyd Avenue, Richmond, VA 23220. I would like to schedule a showing appointment for this property: MLS# 1909685 – $525,000 – 1325 Floyd Avenue, Richmond, VA 23220.